Are You Making Selling More Difficult Than It Really Is? Do You Make Selling Hard by Talking Too Much? Questions or statements: Which are working best for your sales? Generally, consultative selling is a selling process that involves more questioning than presenting. It seems counter intuitive to the stereotype vision of selling. Why would questions be more effective than presenting? Prospects love to buy but hate being sold. Questions reduce objections and stalls. Emotional questions that stimulate buying can be centered on pain, fear or perceived gains. Remember that pain and fear are stronger buying motives than gain, especially in B to B selling. Think of a child reaching for a cookie on a tray just out of the oven. The pain and resulting fear of touching a hot pan again will surpass the gain of getting the treat. 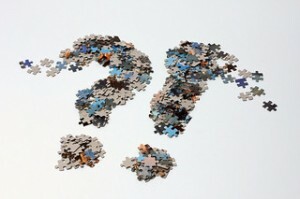 Try asking ‘what if’’ questions around perceived problems or future problems. Previous post: Know the Selling Steps that Lead to Closing a Sale!